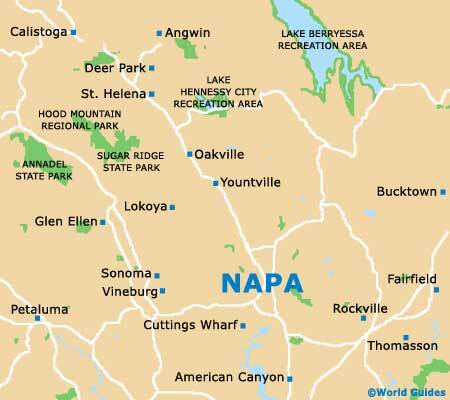 Whilst it is very true to say that the main tourist attractions in this area are the extremely famous Napa Valley vineyards and wineries, this is plenty more in the way of sightseeing, both here and close by, in the Sonoma County. 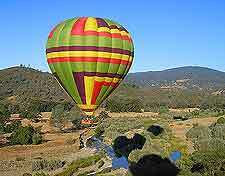 Tourists will find that the ultimate way to view the vineyards and attractions of Napa Valley is by air, and several different hot-air balloon companies are located in the town of Napa, offering extremely exhilarating and memorable experiences. Hiking, kayaking, canoeing, mountain biking and cruises are further popular attractions available around Napa Valley. For families with young children, the Six Flags Discovery Kingdom will easily fill up an entire day with its exotic animals and exciting rides, and still leave you wanting more. Hot-air balloon rides over the valley launch first thing in the morning, when the winds are calm, and last around an hour, reaching heights of up to 900 meters / 3,000 feet. Experienced balloon pilots provided interesting commentary along the way, being followed by champagne and a hearty brunch. Reservations are recommended, as is bringing a camera to capture the scenery of the Wine Country. 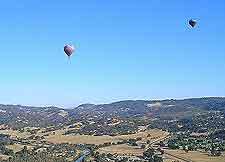 Evening balloon rides are also available, weather permitting. Casual clothing is recommended, as is bringing a camera. Whilst Napa Valley may be known for its endless wineries and historical vineyards, beer is certainly not something that is has become famous for. However, at the Bear Republic Brewing Company in Healdsburg, you will discover an award-winning microbrewery, with a number of different pale ales and Big Bear stouts being available at the onsite brewpub, along with tasty American-style fare and an outdoor beer garden with tables and chairs. Seasonal attractions include barbecues and oyster nights, karaoke evenings and beer tasting events. Seating up to 11 passengers and cruising along the Napa River, the Napa River Adventures provide a guided river cruise, starting at the Kennedy Park dock and passing through the attractions within the historical town center. 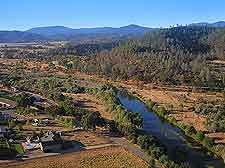 Soon after, the river cruise heads in a southerly direction and into the wetlands of the Wine Country, where a wealth of birds and other Californian wildlife awaits. These motorboat cruises last up to two hours and passengers are able to bring food and drink. 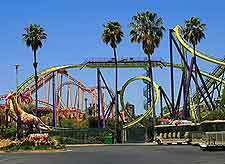 Formerly known as the Six Flags Marine World and recently renamed as the Six Flags Discovery Kingdom, this extremely popular attraction provides an unbeatable day out for those with children, being just 14 miles / 23 km to the south of town of Napa, within the San Francisco Bay area. There is so much to see and do within this huge theme park that visitors should always try to arrive early, and preferably on week days, when crowds are lighter. Attractions are extremely varied and including many exotic animals, such as bottlenose dolphins, cheetahs, elephants, parrots, penguins and sea lions, with the regular killer whales shows being of particular note. Amidst all over the walking cartoon characters and eateries, the Six Flags Discovery Kingdom is home to some very fast and exciting roller coasters, with one of the latest additions being the Tony Hawk's Big Spin. When the Californian sun is shining, the spectacular Sonoma Coast State beaches are hard to better. 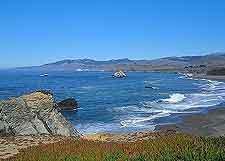 Easy to find and each offering its very own set of coastal attractions, the beaches of Sonoma County lie off the Highway US-1, northwards from Bodega Bay, just over an hour to the west of Napa city. Many of these public beaches come complete with picnicking tables, eateries and toilets, while others are just completely untouched, offering natural expanses of soft sand and some awesome sunsets. In the coastal town of Jenner, do look out for the migrating seal lions and the famous Arched Rock.